I am creating an app icon that has a drop shadow. When I resize the icon to some smaller pixel sizes to use in an app (around 20 x 20 pixels) the object transforms fine except for the shadow. 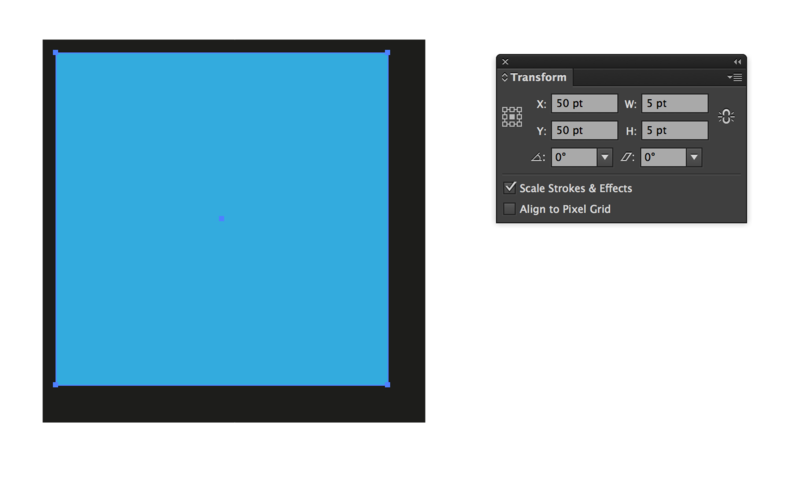 I have checked the 'Scale Strokes & Effects' box in the transform window. It seems the minimum size for the offsets of the drop shadow is one pixel regardless of what I type in the drop shadow box for yoffset and xoffset. Is there anyway to get the shadow effect on a very small object? I know it will hardly be noticeable for such a small object but I prefer not to delete the shadow every time I resize the object. 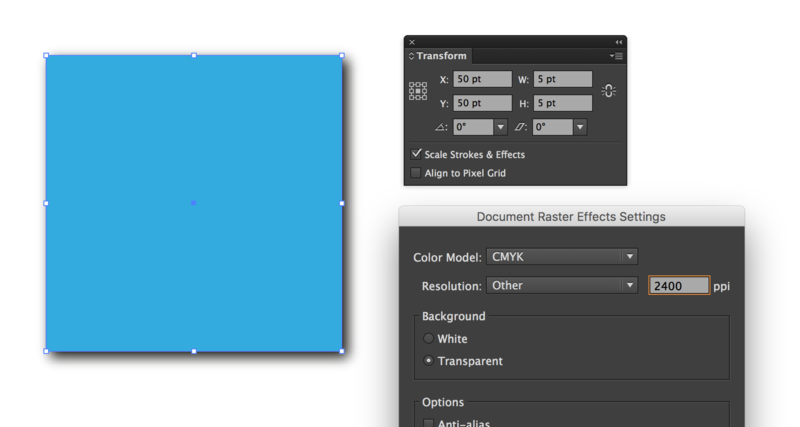 You shouldn't really be limited by the minimum size of a drop shadow. The minimum value you can use is 0.01pt, which even at maximum zoom is essentially too small to see. 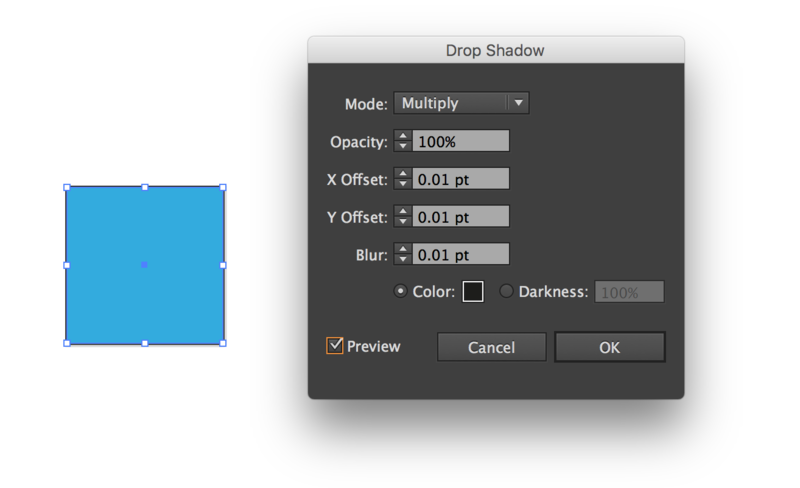 The drop shadow effect is a raster effect though, so what you are limited by is the document's raster effects resolution setting, and of course your output size. 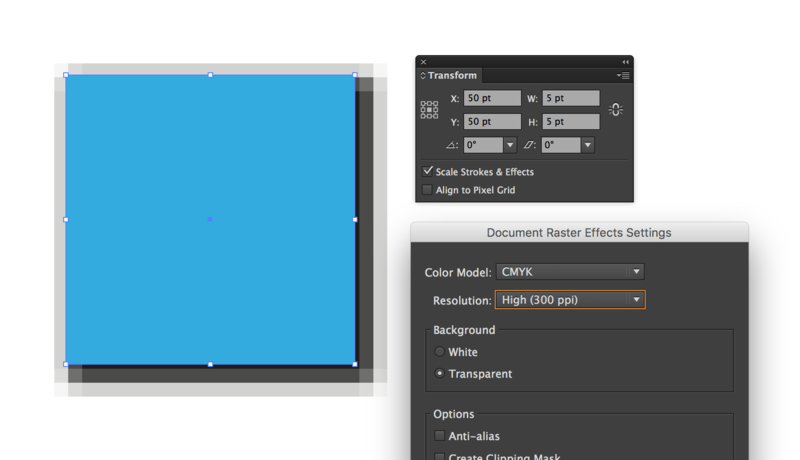 Keep in mind that the raster effects resolution is a document setting, not per-effect. If your final output is going to be a raster image then you're obviously limited to the pixel size of that output, so keep that it mind. 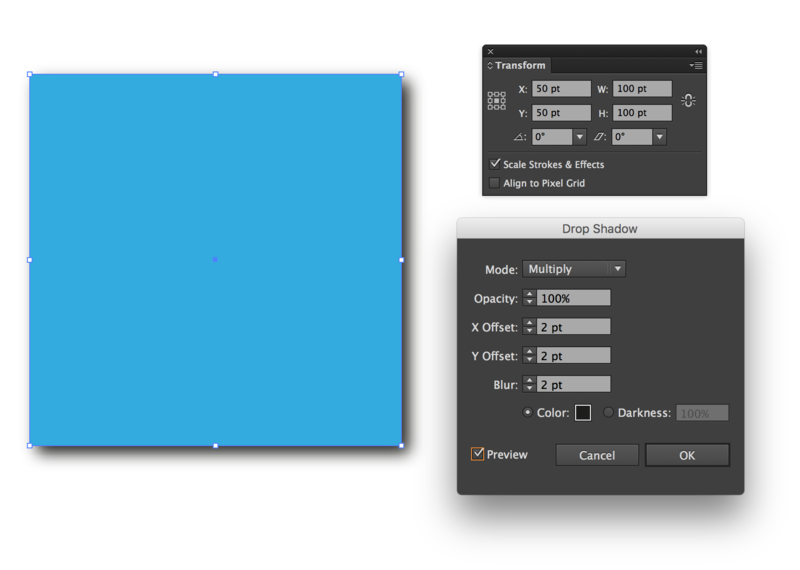 It's a good idea to work at the correct size and turn on pixel preview periodically to see how everything will look.